Health and Safety Matters (HSM) magazine and the British Safety Industry Federation (BSIF) held a free webinar on how to comply with the new PPE regulations. WITH MORE than 1200 registrations for the webinar Complying with the Law - PPE Regulation, it is clear there has been much confusion about the latest PPE changes. These were put to rest on the 2 July with a free webinar featuring an expert panel comprising Alan Murray and Frank Angear from the BSIF. It was hosted by HSM/FSM managing editor Mark Sennett and allowed time for the audience to engage with questions at the end of the session. The webinar, including slides, is available on demand. The session focused on the recent changes to the PPE Regulation EU 2016/425 and what new responsibilities suppliers of PPE will have. There are considerably more requirements and obligations written into the new regulation, especially for distributors and importers and the webinar explained what these are and how those affected by the changes can gain a clear understanding of their new responsibilities to ensure they remain compliant. BSIF general manager Frank Angear presented first and introduced the BSIF, which is the UK's leading trade body within the safety industry. BSIF's aim is to provide support and guidance on a wide range of occupational safety issues and embers include manufacturers, distributors, test houses, certification bodies, safety professionals and service providers. It came into force from 21 April 2016 and became applicable from the 21 April 2018. However, it is still possible to use the Directive for a further 12 months from the new Regulation coming into effect. Online selling is also subject to this Regulation, and products coming from outside the EU need to demonstrate compliance. Angear said, “It is possible to put products on the market CE marked under the old Directive until April 2019. Products that have a current EC type examination certificate can continue to be marketed while that certificate is valid, so there is a smooth transition in place. So, what are the changes between the Directive and the new Regulation? Angear added, “What you really need to get your head around is the fact that this change from the Directive to the Regulation has very little to do with any changes in requirement or performance of the product. It will not change in any way the way you select products to protect yourself or your workers or the way they work. “The change is all about bringing it in line legally with modern regulations. You do not need to be rushing out to look for products for the new regulations immediately as the products are not changing, but the process that brings them to market. Within the new Regulation there are some changes that are beneficial to the users. 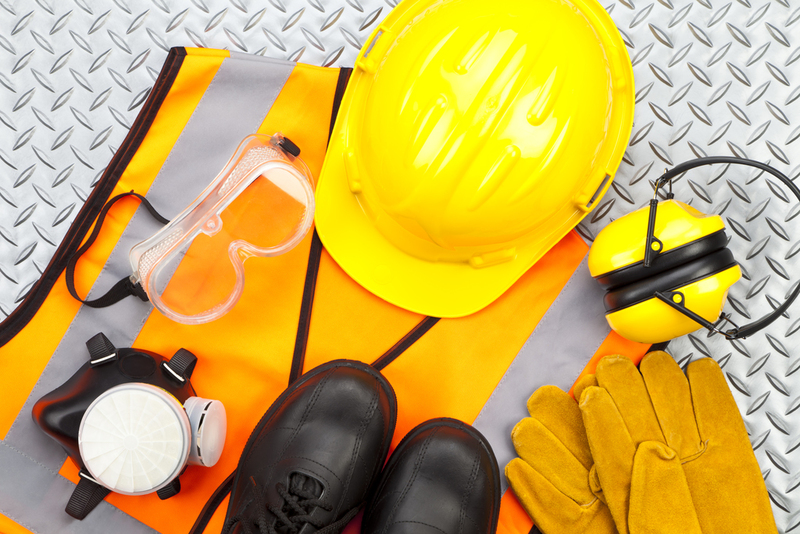 The categorisation of the new Regulation is risk based, not based on the type of PPE. This makes it more straightforward to link selection to the workplace risk assessment. Some of the PPE changes from category II to III, the higher risk category and will require more frequent formal quality assurance. This will provide the user with more confidence that the products they are sourcing are fit for purpose. Users should ensure that products which change category from II to III now reflect and comply with the changes. Perhaps the most widely used PPE that is changing in risk category are products designed to provide protection against harmful noise – hearing protection. In addition to hearing protection (harmful noise) other risks that move from category II to III include protection against harmful biological agents, bullet wounds and knife stabs, cuts by hand held chainsaws, high pressure jets and protection from drowning. A new term has been introduced into the Directive and that is 'Economic Operators', which includes manufacturers, authorised representatives, importers and distributors. They all have new obligations under the new directive, mainly in record keeping and verification, and they go up and down the supply chain. All certificates were given a five-year validity from 21 April 2018, so by 21 April 2023 all certificates will require renewal. By the 21 April 2023 all products will be certified to the latest version of that standard. Murray added, “It might sound like some tough tasks for the economic operators, but it is right and proper. The BSIF has taken steps to support the market place so they can demonstrate how they are compliant and ensure that the end user is able to source safety products from knowledgable suppliers. “Anyone can sell safety, but we know that users should not be buying safety from anyone. Users need assurance that the markings, documentation and claims for performance are all genuine. Users need to be able to trust their PPE and deserve to be supplied capable and responsible business. “We tackle non-compliant and poorly performing products, which I can tell you there are many in the marketplace at the moment. Following the webinar, Alan Murray and Frank Angear answered some of your questions. You can hear all the questions by watching the webinar on demand. Below is a selection of some of the questions asked. For what period of time after 21 April 2019, will we still be able to place on the market products under the current directive? FA: Until April 2023 you can continue to use a current EC certificate as long as it is valid and as long as it has not got an expiry date before April 2023. But it is only for the certificate. The product in all other respects has to meet requirements of the regulation by the 21 April 2019. By that date it will need to have a new declaration of conformity. The regulation does give a template for declarations of conformity. And that can be based on a current EC certificate, but the EC certificate is the only bit that can last over until 2023 in all other respects the product has to comply. As the new PTE regulation is an EU regulation, do you see there being any change to this once the UK leaves the EU market? AM: We believe the government is working to achieve mutual recognition agreement for certain regulations. We know what is contained within the withdrawal bill and we know there is a transition period negotiated until December 2020. We believe the negotiations are driving along the lines of beyond that. That's our belief and that's our hope, because on the one hand I do not see the UK benefitting in anyway from reinventing CE Marking in a different guise. I believe that if we don't have CE Marking and all the products that are produced overseas and brought into the UK, the UK runs the risk of being a potential dumping ground for products in Europe. It's becoming a very current debate, but we believe there will be a mutual recognition agreement. Regarding the new technical change, in the new harmonising standard list there is a lot of existing standards that have been removed, especially regarding electrical safety and flame-resistant clothing. Why has this happened? FA: What is being referred to there is something called the official journal. In that journal published a couple of times a year is a list of standards that are referred to as harmonised, which means that if you certify a product to that standard, you will also be awarded a CE Mark. There was a number of EN Standards that did not make the move from the last Official Journal published that listed standards under Directive into the new Official Journal that lists products harmonised for the regulation. Something like 33 did not make the list, but those are all standards that the commission, having looked through the annexes at the back of the standard, that needed some adjustment. They are in the process of making those adjustments and the plan is that by April 2019 when products have to comply to the regulation, will have made it by then. How do ensure that forgeries from China or India are prevented from access to the EU? What sort of penalties many be imposed for any breaches of the regulations? AM: We have two examples of non-compliant products in the last few years. One was a hard hat where the retailer, a builder's merchant, had sold non-compliant hard hats. They were fined something in the region of £14,000 by Trading Standards. Are the slides that accompany the webinar available? The entire presentation, including the slides, is available on-demand for you to listen to at your convenience. You will also find answers to more questions at the end of the presentation. PPE Directive - when is an â€œoldâ€ standard too old? Looking ahead to the year 2012!